Many Windows users see an Xinput1_3.dll missing error when they try to open a program or a game. This error message is usually like “XINPUT1_3.dll is missing” or “XINPUT1_3.dll was not found“. 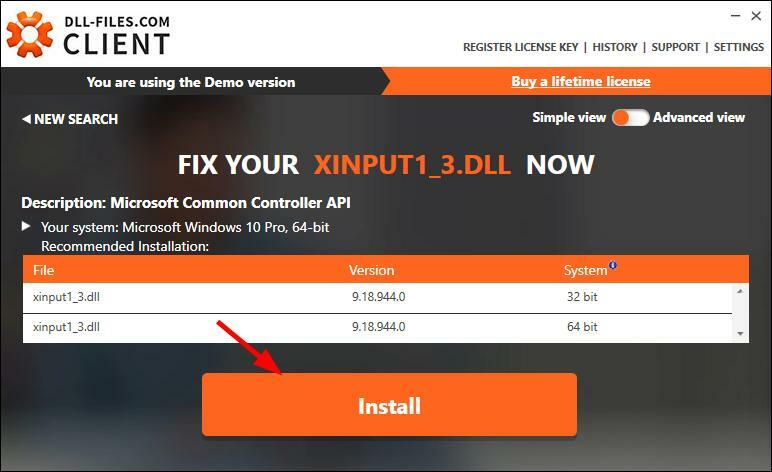 XInput1_3.dll is a component of DirectX, which is a platform developed by Microsoft to handle the input from a Microsoft game controller (Xbox controller). If you’re having this issue, you’re no doubt very frustrated. But don’t worry! The following are the solutions we’ve put together to help you fix your error. This can be the simplest way to solve the problem. Sometimes the error message will disappear after a reboot. Upgrading your Microsoft DirectX to the latest version can usually fix xinput1_3.dll missing problem. 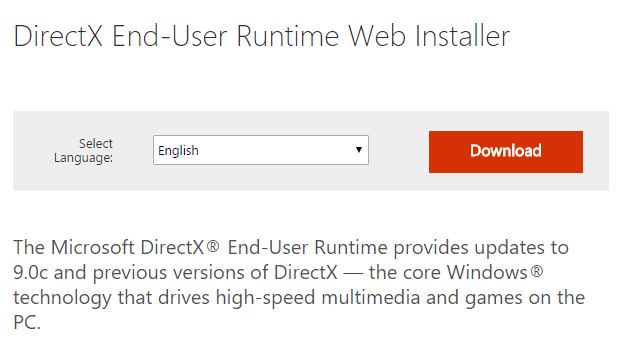 1) If you want to update DirectX 9, you can download and install a DirectX End-User Runtime Web Installer from Microsoft. 2) For DirectX 10, 11 and 12, they are built in Windows systems (Windows 7, 8 and 10), and there is no standalone download file. They can only be updated with Windows Update. i. 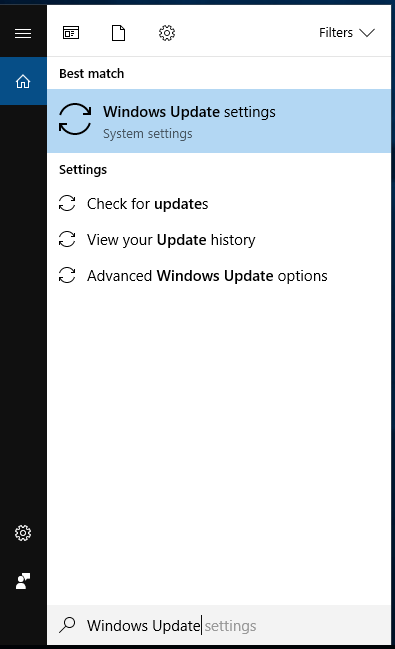 Open Windows Update by searching Windows Update in the search box on (or next to) Start menu. ii. Click Check for updates, and see if there is any available latest version for your DirectX. 3) You can also check the installation package or media, such as CD/DVD, of the problematic program and see if it includes a DirectX installer. The DirectX software provided by program developer may not be the latest but can be the most suitable for the program. Sometimes there might be an issue inside the program that causes the xinput1_3.dll missing error. In this case, a reinstallation of the program can fix the problem. You can also fix your xinput1_3.dll missing issue by restoring the file from a reliable source. 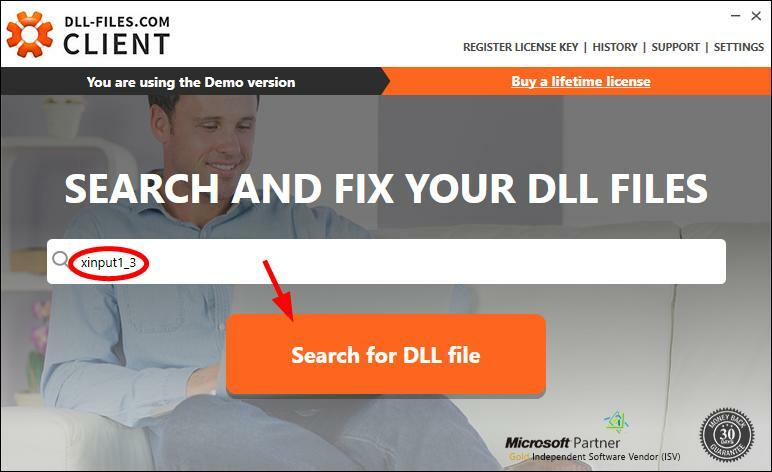 To do so, you can use the DLL‑files.com Client. 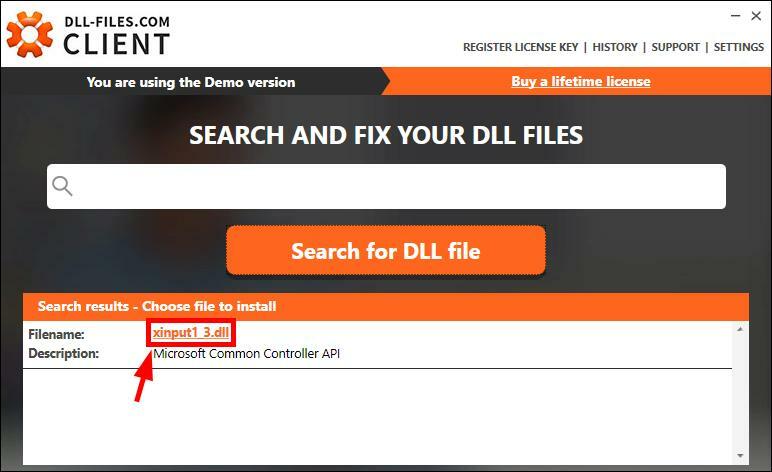 3) Type “xinput1_3” in the search box and click the Search for DLL file button. Now check to see if this fixed your dll file missing issue. 1) Find a computer that’s working normally. It should have the same variant of Windows system as yours with the latest system updates installed. 2) On that computer, open File Explorer (press the Windows logo key and E on the keyboard at the same time) and go to C:\Windows\System32. You will find a XInput1_3.dll file there. 3) Copy that file to the exact same location (C:\Windows\System32) on your own computer. The problem should be fixed now! Although this is not a common solution, updating your graphics driver can in some cases tackle the issues that have something to do with DirectX. Plus, your graphics card can have a better performance with the updated driver. You can spend some time finding and updating the driver with Device Manager or from the device official website. But the most convenient way we recommend is to use Driver Easy. 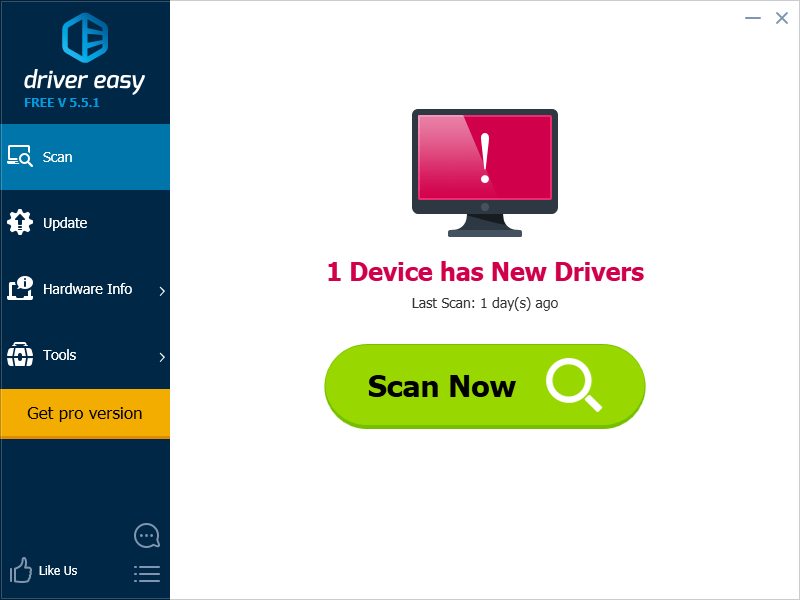 You can quickly scan out the driver you need to update with a click on the button Scan Now. Then you can download the credible driver and install it manually. That is more convenient than using Device Manager or going to device official site. And if you want to save more time, you can choose the Pro version of Driver Easy. With only a few click, this professional tool can update your drivers automatically and quickly. Additionally, its other advanced features and our experienced technical support can help you get rid of all kinds of annoying driver issues. Don’t miss the best chance to keep your computer healthy.